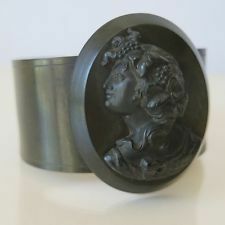 Rubber Victorian jewelry? Yes indeed! Vulcanite is a substance formed by combining sulphur and India rubber, a natural rubber, and then heating - or vulcanizing - the mixture. It becomes a hard black material, originally intended to take the place of ebony wood. Charles Goodyear is generally given credit for developing the process and his patent occurred in 1844. Vulcanite can be various colors, but brown or black seem to be the most common. Though vulcanite can be polished to a gloss, it is never as glassy looking as jet. Also, vulcanite pieces are molded rather than carved - a helpful clue when identifying an old piece of jewelry. 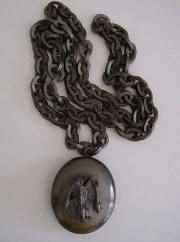 Vulcanite jewelry was at the height of popularity during the Victorian era. 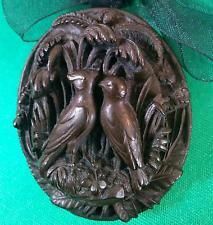 It was considered fashion jewelry, not just mourning jewelry. Black in general was a fashion color. Every imaginable type of jewelry was made from vulcanite - earrings, brooches, watch fobs, lockets, etc. 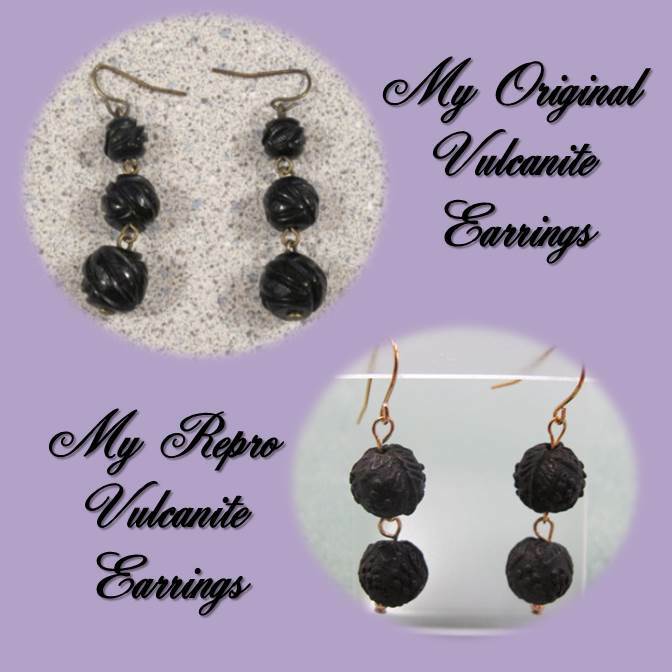 Vulcanite was manufactured as black jewelry, but over time it can turn brown. Vulcanite is often mistaken for gutta percha. However, gutta percha was used for more functional items like boot soles and gussets, buttons, carriage belts, tubs, pails, cables, golf balls, etc. Little jewelry was made from gutta percha so when viewing jewelry identified as gutta percha, you can know that it is more likely vulcanite. A couple of tricks in trying to identify the material will be (a) to rub the piece and if it is vulcanite, it will smell like rubber; and (b) taste (yes, actually lick it) the piece and if it is salty, it is gutta percha. 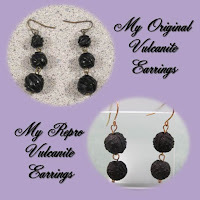 I carry vulcanite earrings in my shop, made from genuine, vintage vulcanite beads. Notice the resemblance to the original Victorian pair in my collection in the top picture!